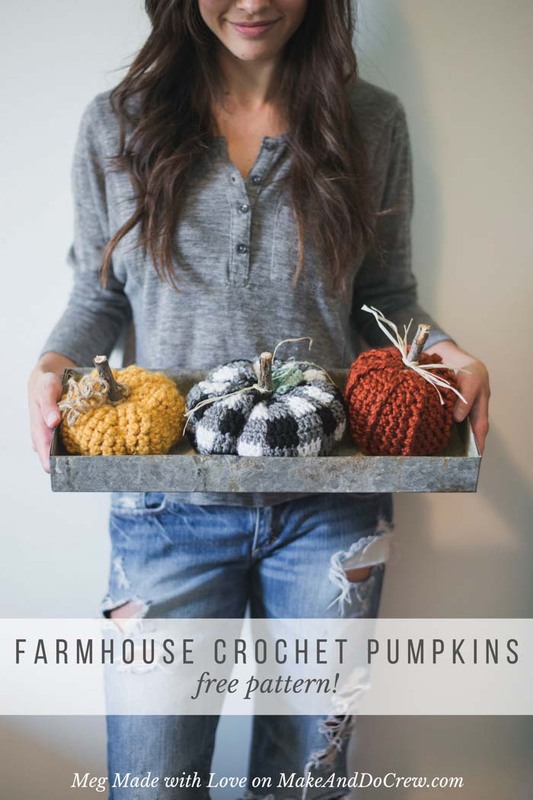 This free crochet pumpkin pattern adds a rustic and modern DIY touch to your Halloween and Thanksgiving decorations. 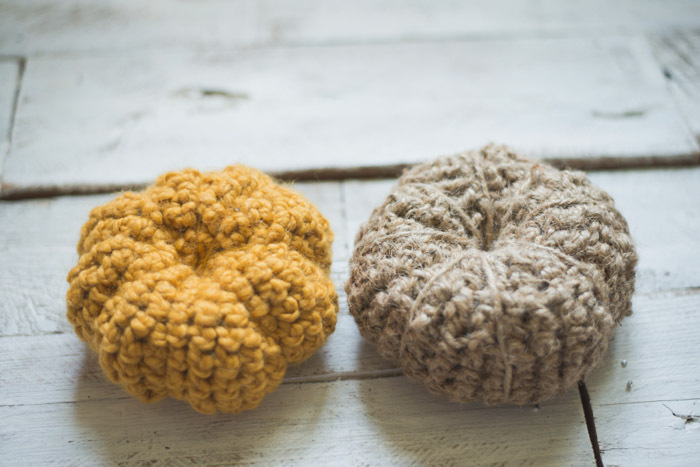 Today Meg is sharing a free crochet pumpkin pattern that can be made with your leftover scraps of Wool Ease Thick & Quick or other chunky yarn. 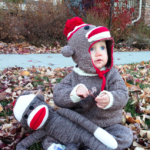 The other two free pumpkin patterns can be found on Meg’s site, Meg Made with Love. Hey fellow makers and do-ers! 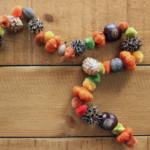 I’m so happy to be sharing a special little autumn pattern here on Jess’s blog. 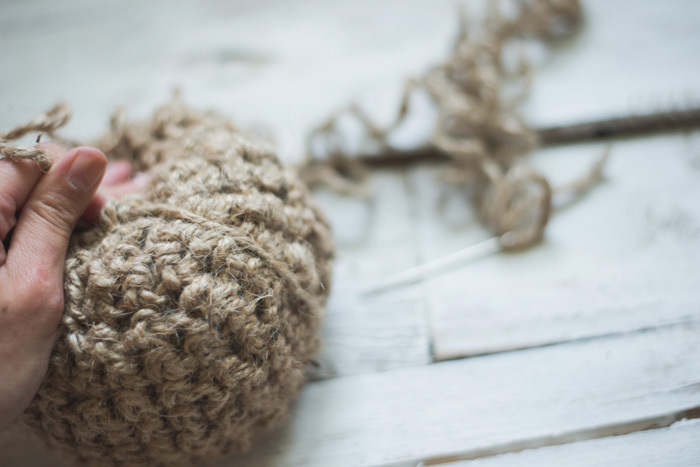 There are so many awesome things to create here (a favorite of mine- the flip flop crochet patterns), so I’m honored to be able to be a part of the awesome-ness that’s going on at Make & Do Crew. 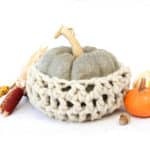 I’ve prepared the cutest little free crochet pumpkin pattern, just in time for you to make a couple to plop on your entryway or dining room table to add some fun handmade flair to your home. The pattern I’m featuring here is the yellow one– using Lion Brand’s Wool-Ease Thick & Quick in Mustard Yellow (one of the best fall colors, in my opinion). 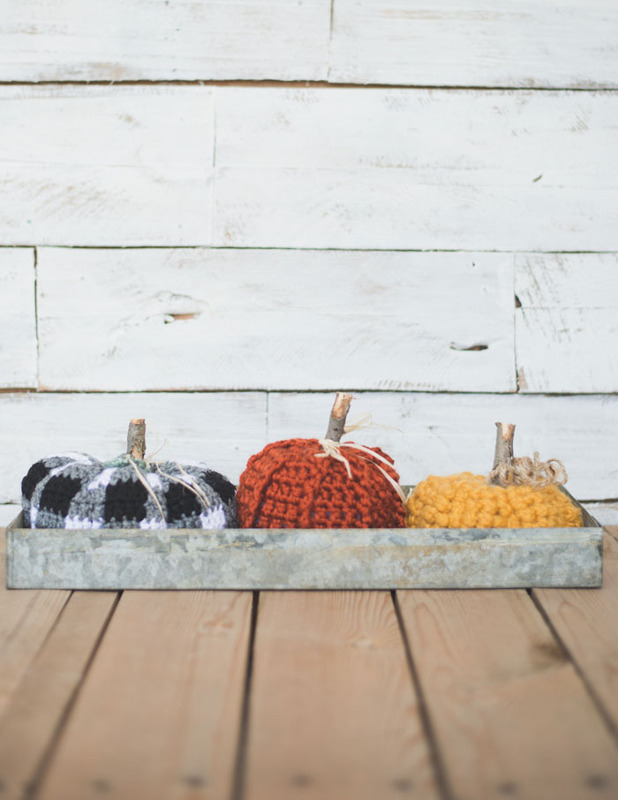 You can find the free patterns for the other two pumpkins in the photo over on my blog by clicking here. 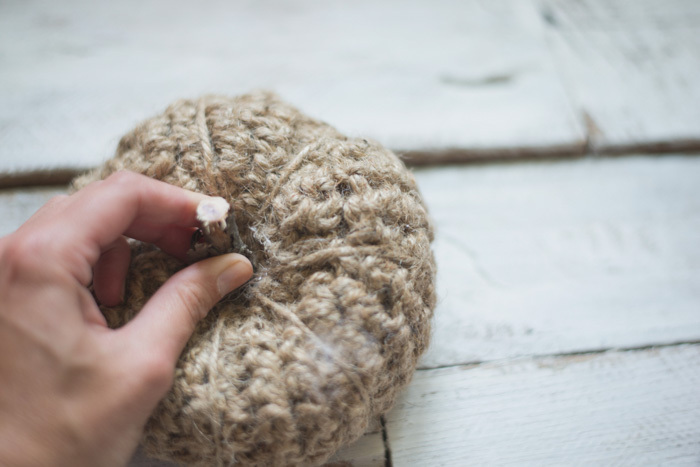 Because this pattern is worked up with such chunky yarn, it makes for a quick and easy piece. 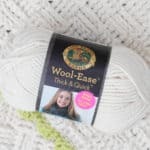 This pattern can be worked up with the Wool-Ease Thick & Quick yarn or even using jute. 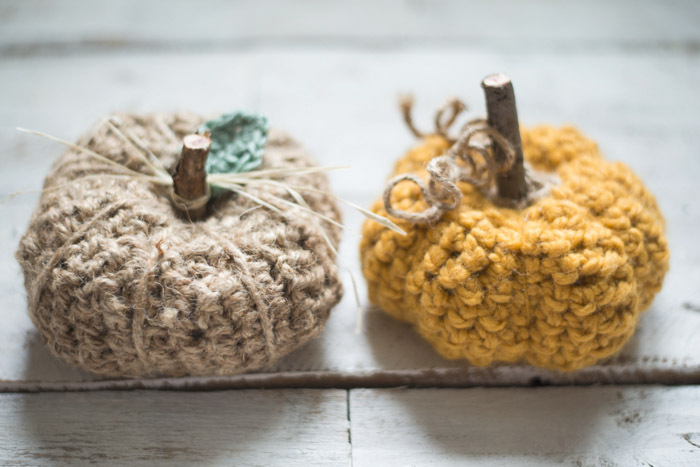 I think these pumpkins would go over incredibly well at craft shows this fall! 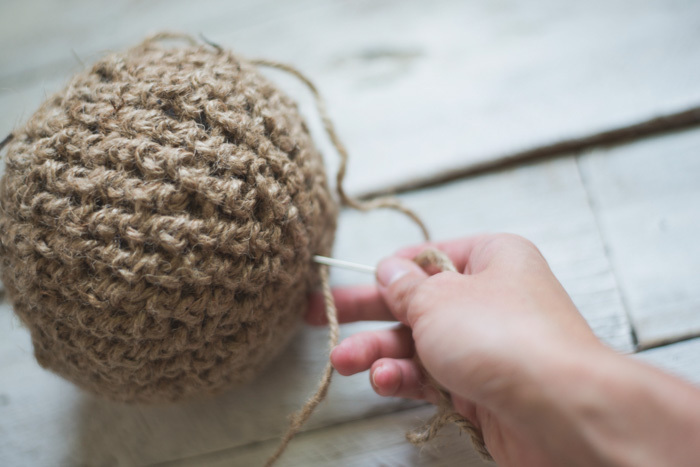 To make the indentations, you will work with your long tail from your crocheted piece, and your needle. 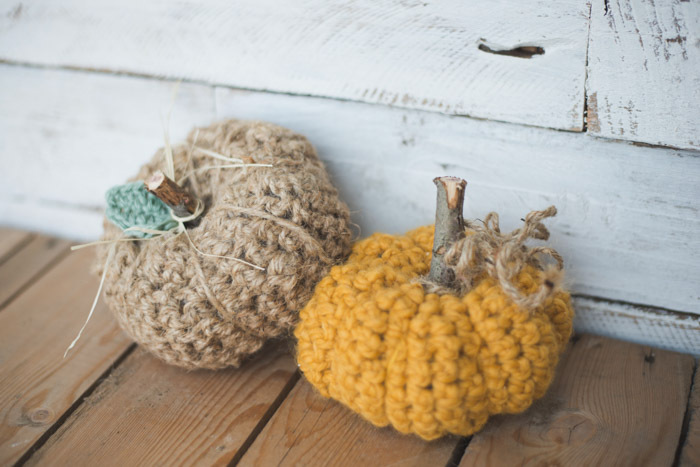 Take your yarn around the outside, and to the opposite end of the pumpkin. Then you’ll insert the needle through the center and back through to where you began. 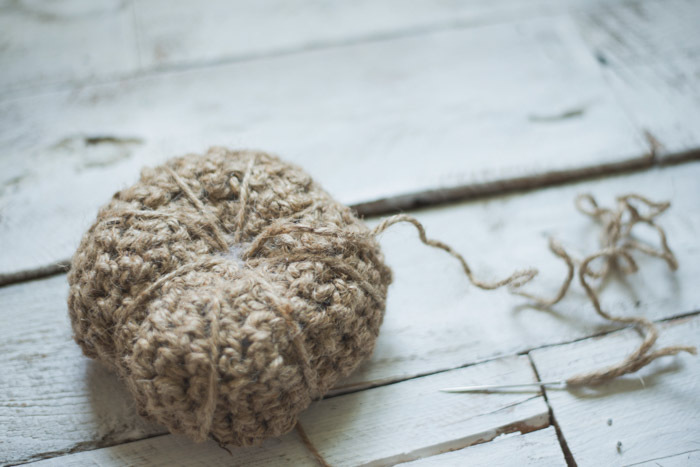 Pull it tight, then repeat the same process, wrapping your yarn around the pumpkin and back through the center and spacing them however you see fit. After you’re done with the indentations, tie a knot to secure. Then you’re ready to finish off the pumpkin. To attach the stick, just put a glob of hot glue in the center of your pumpkin. And firmly press your stick onto the hot glue until it has cooled. 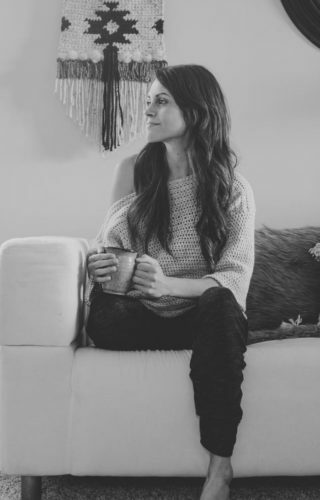 « The Revival Crochet Triangle Scarf – Free Pattern + Video Tutorial! How do you do the black and white plaid pumpkin? great just fininshed rust one and plaid, Can;t wait to start yellow and jute one. They are going to sit on my desk at work. Thinking of making multi plaid ones in rainbow of colors. Thanks so much for the patterns! Will post picture if I fininsh on time. Sounds like an adorable little desk accent! very nice !! I love it! How many yards does this take……i have some leftover LB Thick & Quick that would work great.